If you don't know your birth time, rectification is a method used by astrologers to determine it, based on things that have happened in your life. for starters, an ephemeris, a table of houses, an atlas, and a book of time zone changes—but there are a lot of other books we don't mention here. 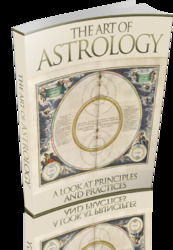 Let's look at what some of these books include to help you understand how your chart's being calculated. An ephemeris is a book that shows where the planets are at noon or midnight Greenwich Mean Time every day of each year for the time period covered. is one of the time standards used in astronomy for locations at 0 degrees longitude or meridian. It's four hours later than Eastern Daylight Time and five hours later than Eastern Standard Time.